Size matters when you can get 2 lots for the price of one? Surrounded by tall redwoods, and a large, sunlit back yard, this home has the privacy and scenic value that makes Brooktrails a desirable place to be. 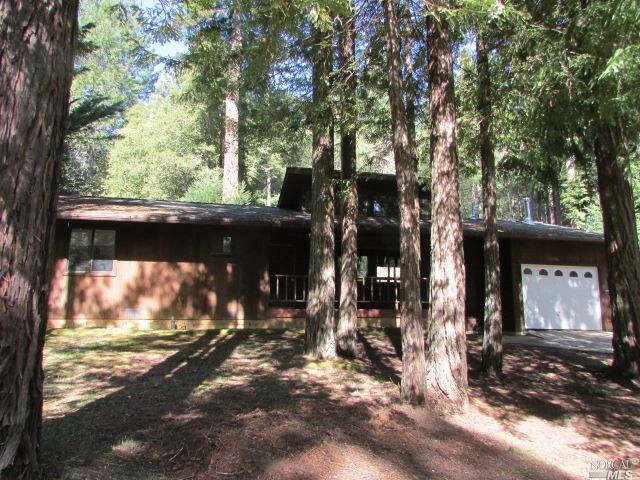 Just 5 minutes from the Brooktrails lodge and 9 hole golf course, this 2 bed, 2 bath home includes the adjacent lot. The living room and attached kitchen give the home an open feel, with a large rear deck for easy entertaining.